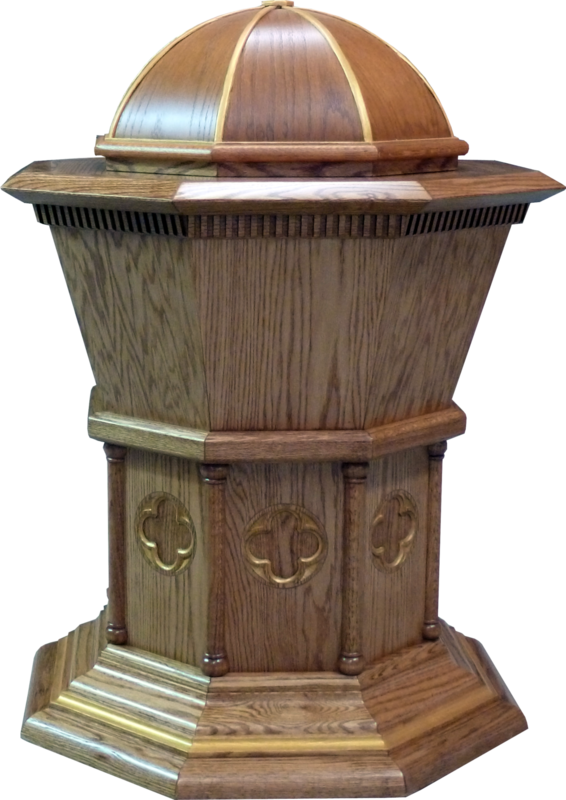 Quarter sawn antiqued white oak with hand carved corinthian capitals and empress green marble columns. 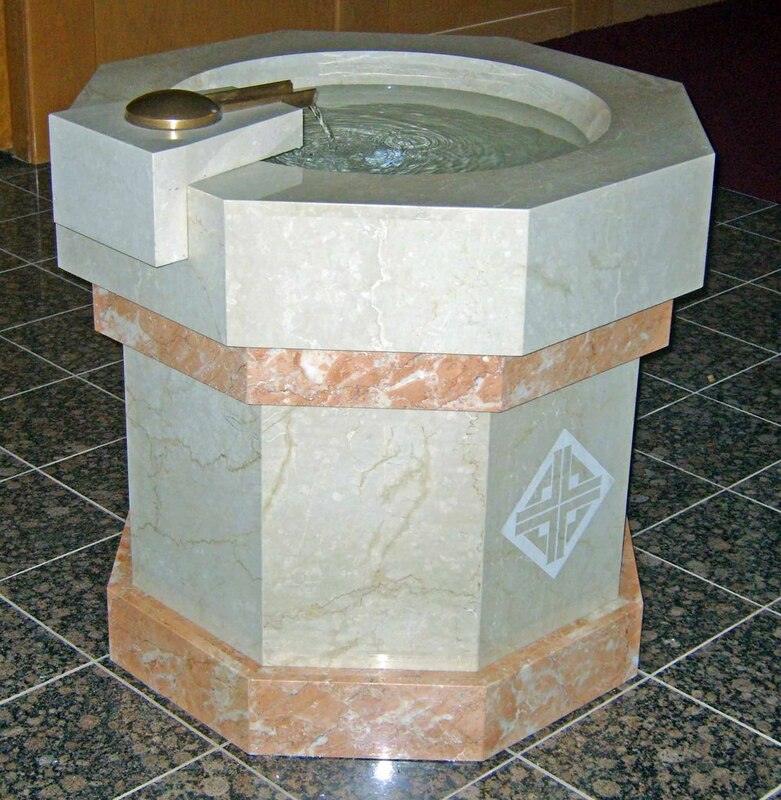 This font was designed to fit into this 50 year old church as if it had been there from the beginning. 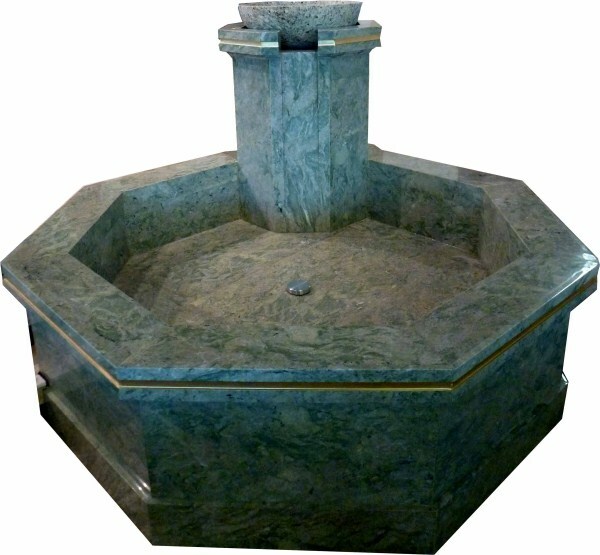 We matched the bottichino, empress green and tea rose marbles perfectly. 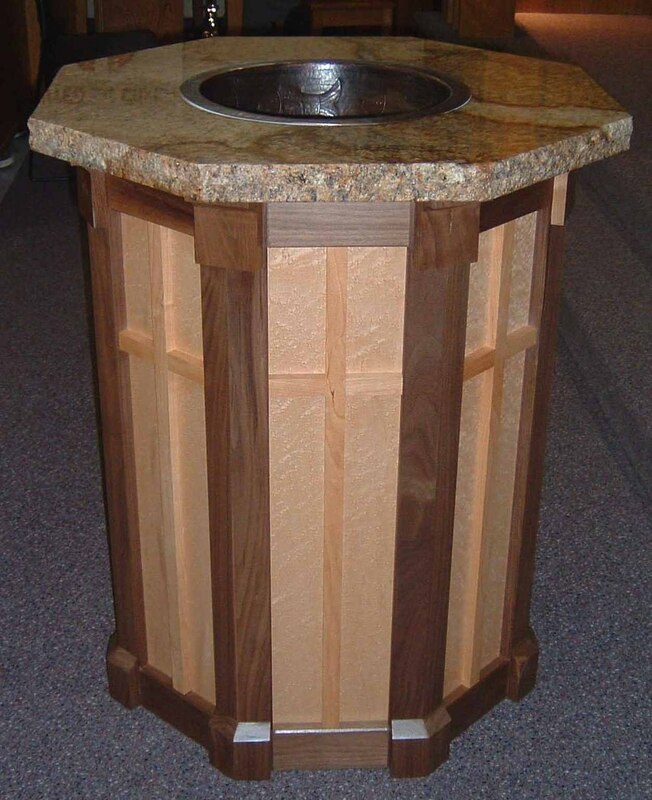 This font is on casters for easy movement even though it weighs over 1000 pounds! 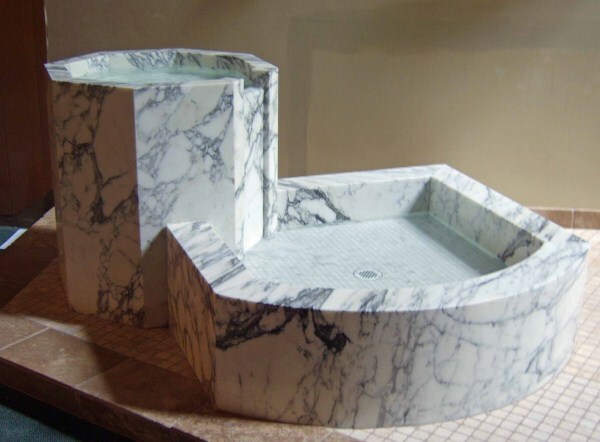 Cherry base with travertine panels and hand cast glass basin with uplighting. 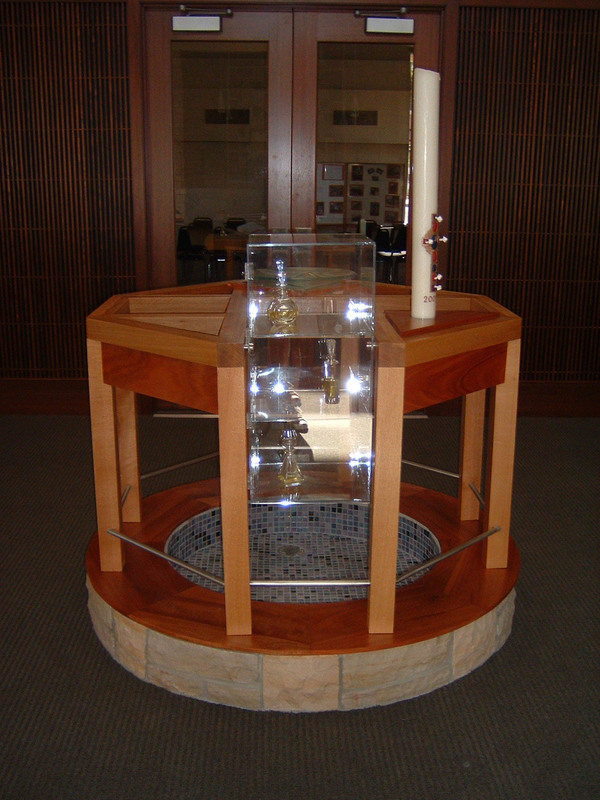 The baptismal font is usually the most controversial piece of furniture in the church, especially its placement in the church. 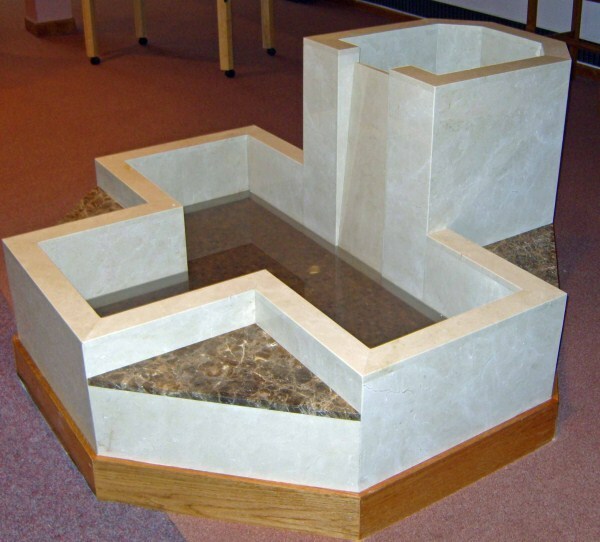 While it may seem nice to have a font that looks and acts like the Jordan River, the main rule to follow with a baptismal font is simplicity. 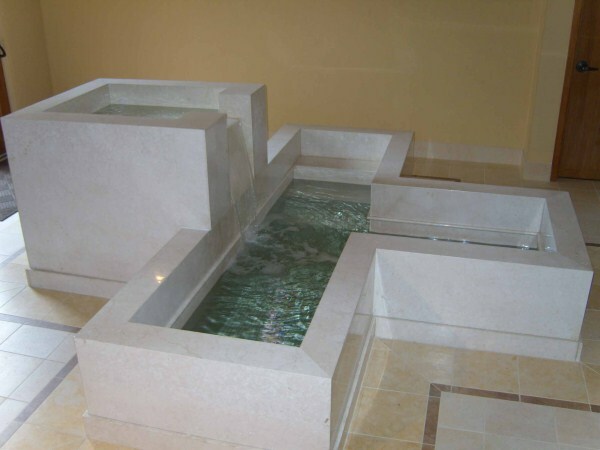 The fewer moving parts and the simpler the design means easier maintenance and longer life (fewer chances for leaks!). 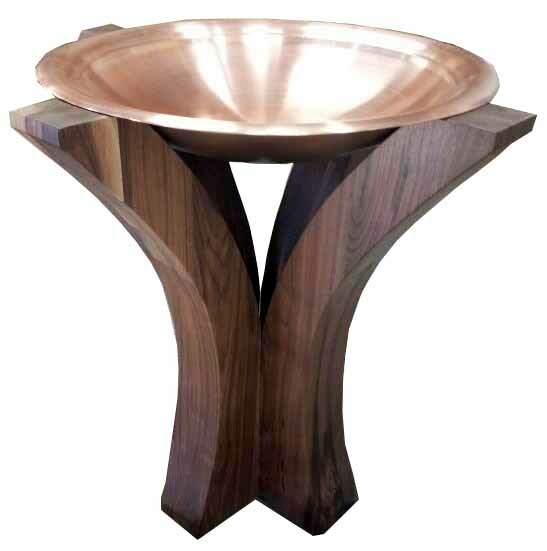 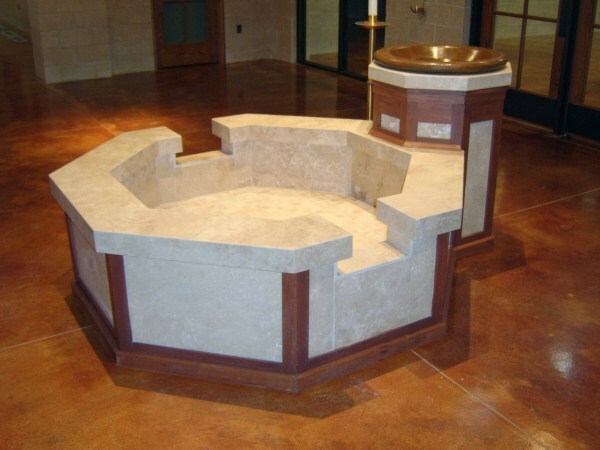 Stone is a great material for baptismal fonts, but mixing stone with wood or metal helps to tie the font into the rest of the liturgical furnishings and can reduce costs.